This necklace set is ABSOLUTELY GORGEOUS!! High Quality Necklace & Earring Set in Beautiful light & dark Pink Color. This delicate yet elegant set is adorned Pink Enamel cubic zircon look like diamond along the petite floral & leaf design each earring features the leaf. 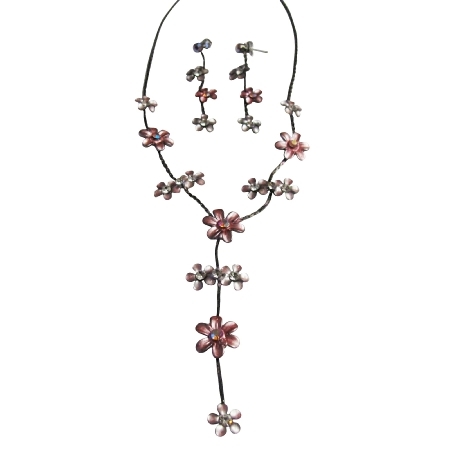 This delicate yet elegant set is adorned Black Enamel Flowers necklace sets.